Two strong women fought the enemy in a long, brutal and seemingly hopeless ground war for years, until the Chinese finally blinked and went back home. Now these two realize that they must fight an even more cynical and devious enemy in order to bring America back from thirty years of chaos. But this new enemy is their own government, and its omnipotent media syncopate, the Network. 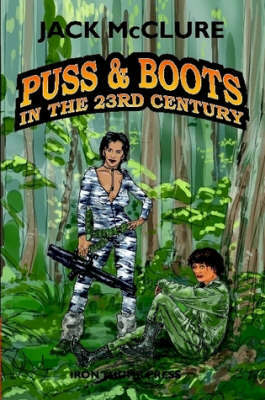 Puss and Boots are legends in the Army for their kill-skills and when they finally accept their new mission, they get help from their old comrades-in-arms, as well as a few new and different friends. The White House and the Network elite are not pleased with Puss & Boots' decision and disruptive actions, therefore they begin to take counter-measures.